My toddler loves to wash her hands with soap, she'll do it even if they are clean. So I try to have non-toxic soap in the house, or at least something without triclosan (toxic pesticide in antibacterial soaps). I love trying natural skin care products and whatever I use on my daughter I usually try on myself as well. 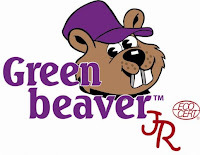 We were excited to be contacted by Green Beaver to try their new line of Junior organic kids skin care products. We tried the Foaming Hand Wash, Foaming Body Wash, Shampoo, Conditioning Detangler, and the Zesty Orange Toothpaste. I love that these products are free of parabens, artificial fragrances, phthlates, petrolatum, or other nasty stuff. The ingredients are certified organic, it smells like wild berries, and I can feel good about having my family use it. As for performance, I'm afraid I'll use it up before my toddler! I love how my hair acts and feels with this shampoo. It is silky and stays clean for long, doesn't dry out my scalp. I feel like it is really great for the whole family. The smell is so pleasant, but doesn't leave you smelling like wild berries, it pretty much washes off. The detangler works best on my daughter's fine hair, but it is also alright for me. I spray it on wet hair and don't even need a conditioner. The Foaming Hand Wash and Body Wash are great and very economical with these dispensers. We took them on vacation and they traveled well. Love the Zesty Orange Toothpaste but I'm afraid it is too delicious for toddlers, my daughter doesn't want to spit it out! Well, at least she isn't eating fluoride poison. Another bonus: they have a great line of certified organic adult skin and hair care as well. MANDATORY ENTRY: [Follow us with GFC and] Tell us what you would love to try most at Green Beaver. Giveaway ends at 11:59 PM on Thursday, July 28th, 2011. Winners will be selected using Random.org and contacted via email in. Open to US and Canada residents 18+. I want to try the body wash, it seems like everything dries out my sons skin even though it says organic... i follow you with gfc, liked green beaver on fb, liked you on fb a while back, signed up for their newsletter, liked their page on fb, subscribed to eco babyz by email, joined community, voted on picked fence, rated my blog top mommy blogs. I'd love to try out the hand soap. My LO seems to pick up every cold that his friends have--would like to teach handwashing early! I subscribe by email, and am so glad I do! You have great stuff! GFC Follower-kport207 and I most want to try the foaming hand wash. Following on GFC would love to try this, always look for new kids products like these that are chemicals free and have pleasant sent. I follow through google friend. I follow you and I would like to try the Lip Shimmer. I'd also like to try the Green Beaver Jr Lip Balm for toddlers and kids. I like that it moisturizes without any of the bad stuff. I bet it smells fantasic too. 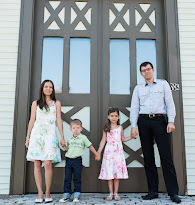 I follow your blog with GFC. I subscribe to the Green Beaver newsletter. being that I burned myself to a crisp yesterday I would love to try the sunblock - maybe keep me from burning again LOL. i follow on gfc and i like the fresh mint body wash! 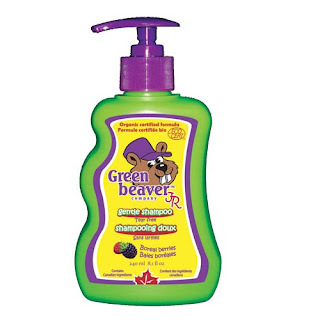 GFC Follower under Theresa M.
I'd love to try Green Beaver's Winter Bath Oil. My skin is so dry in the winter! I follow gfc and would love to try Fresh mint conditioner. The Conditioning Detangler. My daughter's hair is so knotted lately. I would like to try their lip shimmer. I follow. I'd like Certified organic SPF 30 Adult Body Lotion.